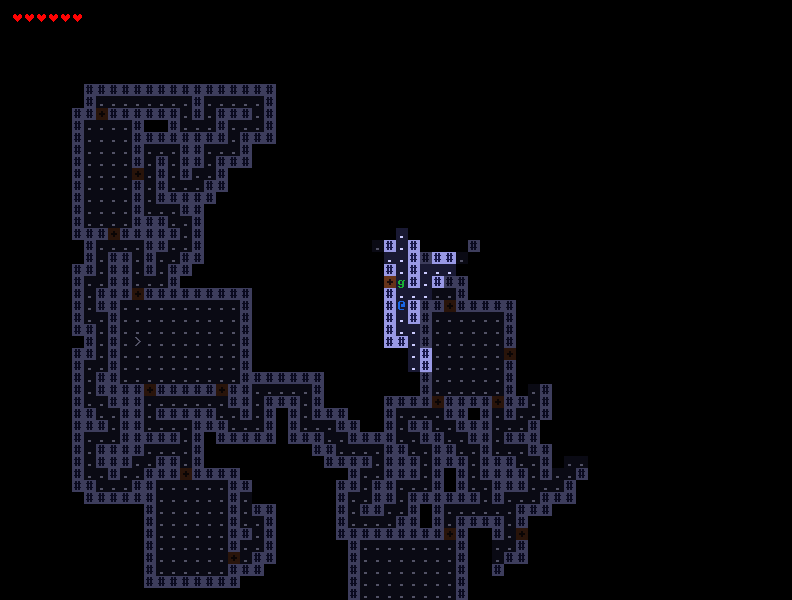 My current go-to pet project is dungeon, a roguelike which is currently pretty incomplete and basic, but I think I’ve gotten far enough to start showing it off a bit more. It’s a roguelike with your usual fantasy-setting (for now, anyway) and mechanically it’s going to be pretty typical as well. Eventually though, I’m planning on implementing some kind of bodypart system where potions, food, traps, enemy attacks and so on can transform your character, giving you both positive and negative effects. Also, Lua scripting. I want as much as possible outside the main game engine be scriptable in Lua. Which means items, status effects, skills, traps, actors and whatever else that might be fun to have easily modifiable. I’m also using Lua for basic data loading but that’s just because I’m lazy and why the hell not when Lua is already implemented. After those and a bit more content I’ll be implementing whatever cool ideas that I come up with. I’m mainly making it for learning purposes (and for fun), trying out new things as I go. That lack of planning combined with not actually spending too much time on it means that progress is slow. The fact that I find myself rewriting things quite often due to the mentioned lack of planning doesn’t help much, either. I’ll try to write blog posts about whatever in the game that might be interesting for others, but it will probably take a while before they pop up as the game is currently pretty basic and will stay so for a while longer.